Philip Oliver Goldsmith, a salesman for a small optical firm, founded this eyewear company in London in 1926. In 1935 his son Charles Goldsmith entered the firm with the aim of making glasses a fashion item. From the company's offices in Poland Street, his sons A. Oliver and Ray Goldsmith built upon the company's reputation for attention-grabbing designs and solicited celebrity endorsement for their products. Key clients included Lord Snowdon, Princess Grace of Monaco and Diana, Princess of Wales. 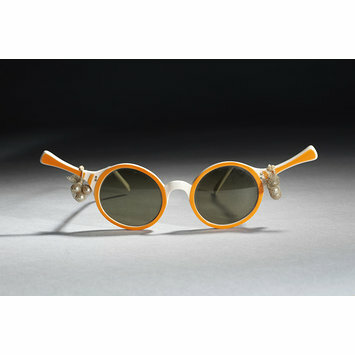 Charles Oliver Goldsmith designed this frame at a time when plastic was cut and shaped by hand in the company workshop. He designed it for a fashion show of tennis clothing staged by celebrity tennis star turned designer Teddy Tinling. Its unusual design, featuring two tennis racket shaped eye-pieces, complete with miniature bags of tennis balls, received much publicity at the time. 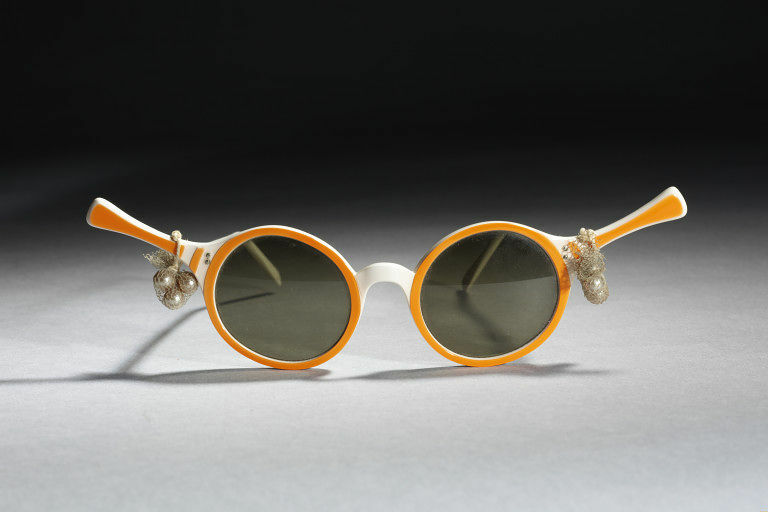 It was the first example of the type of whimsical design for which Oliver Goldsmith Eyewear later became known. White and orange plastic sunglasses with small net bags containing miniature balls.